TNPL cricket match between Madurai Panthers vs Chepauk Super Gillies where Madurai Panthers won by 26 runs. 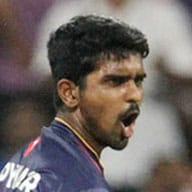 Madurai Panthers highest scorer- Jagatheesan Kousik - 37 Runs in 21 balls with one 4 and 3 sixe's. Best bowling figure is from Murugan ashwin - 4 overs given only 24 runs with 3 wickets. From Chepauk Super Gillies- S Karthik - scored 28 runs in 28 balls with only one 4 and a single six. Bowling figures is from Varun Chakravathi- Bowl 4 overs and conceded only 16 runs with 3 wickets in pocket.